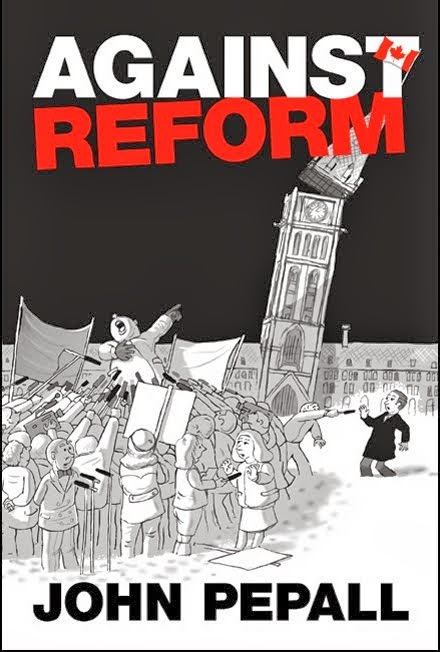 Just over a year ago Michael Chong’s Reform Act was introduced in the Commons to widespread acclaim. It has now passed through the Commons Committee on Procedure and House Affairs. Many hope that it will pass into law but many feel it has been gutted. As I explained a year ago, it never had any guts. 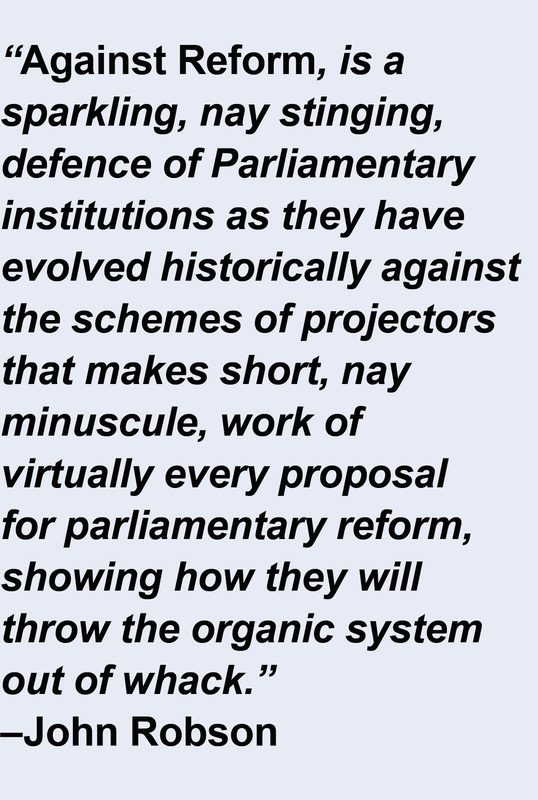 Or rather its premise was that MPs haven’t the guts to fulfill their role under the constitution and choose their leaders, but must be the slaves of their party. All of the dictatorial power of party leaders of which so many complain stems from the idea that a leader is not responsible to the MPs elected by the voters but to a party that only has any reality when its fluctuating membership is cumbersomely convened, perhaps once a year. Chong agreed to amendments leaving it up to the parties to decide who should certify their candidates at elections and making the provisions for an MP instigated leadership review and MPs’ control of caucuses voluntary. The votes on these amendments followed strict party lines and comment has chosen to see this as Harper putting the fix in. But opposition MPs questioning Chong before the Committee evinced concern that MPs should be able to set aside a leader chosen by their party and that parties would not be able to control nominations to assure that voters be presented with the politically correct choices. That is, the NDP wants affirmative action in nominations. Before the Committee Chong claimed that there is confusion about MPs’ say on their leaders. As if some people think that MPs are bound by law or convention to follow the leader chosen by their party. If some, wrongly, think that, Chong only encourages them to. Even as amended, Chong’s bill is a further step to entrenching parties as a legal part of the constitution. On my research the only legal definition of a party is under the Canada Elections Act, for election finance purposes. Elsewhere, in Commons rules for example, their existence is assumed, but they have no formal power. The Speaker does not recognise Mulcair as leader of the NDP because he has received an order from the New Democratic Party, but because so many MPs recognise him as such. Chong’s attempt to liberate MPs continues to be based on legal recognition that they are party creatures. How confused we have become, about quite simple matters, is illustrated by a recent column by the Master of Massey College. Hugh Segal argues that NDP MLAs in Manitoba who want Greg Selinger to step down while the party chooses a new leader are dissing responsible government and the Westminster model. But Selinger evidently no longer has the confidence of the majority of the legislature. He only remains Premier because the NDP MLAs have farmed out the choice of his successor to their party. That is an affront to responsible government and the Westminster model. One that Michael Chong's efforts encourages. Finally, a Supreme Court of Canada appointment made in the good old fashioned way. The way Dickson, Laskin, Cartrwright, Tascherau, Duff and 90% of the others were appointed. No Supreme Court Of Canada Selection Panel of MPs. No phoney appearance before a committee of MPs. The Prime Minister and the Minister of Justice confidentially consulted all who might have ideas on who might be suitable. Prospects were confidentially consulted as to their willingness to serve. And Suzanne Coté was chosen to general acclaim. But oh the usual suspects are unhappy! The process! The process! The routinely invoked scare word ’secret’ was invoked again. Law professors squawked. Editorial boards harrumphed. How, we are asked, can we have confidence in the Supreme Court of Canada without an ‘open and transparent process’ for appointments? What evidence is there that we lack confidence in the Court? Its judgments, whether popular or unpopular or just puzzling, are reverently received and respectfully reviewed. Only those agitating for a new process claim our confidence in the Court needs bolstering. And just how much confidence should we have in the Court? The Court seems confident enough. Neither its judgments nor its way of expressing itself could be called timid. Perhaps we should do well to reflect that the judges are just humans like the rest of us and no process can assure us that they will be so many Solomons. What exactly the process agitators want is not clear and they could not agree amongst themselves. The demand for openness and transparency would lead at its extreme to the claim that we should elect the judges. But nobody has argued that in Canada for many years. A halfway house would be some kind of parliamentary confirmation in pathetic emulation of the American model. Senate confirmation could fairly be claimed to have undermined confidence in Supreme Court of the United States in recent decades. In any event, parliamentary confirmation in Canada would require a constitutional amendment and we can’t go there. The agitators seemed to enjoy the process of the the Supreme Court Of Canada Selection Panel and the appearance of the appointee before a parliamentary committee. But the Selection Panel was either of little importance or unconstitutional, shifting at least some of the power of appointment from the Governor General, with whom it lies under the Constitution, to an ad hoc group of MPs who have no role under the Constitution. The Supreme Court showed in the Senate Reference that it would not accept dodges that would practically change the Constitution without express amendment. The committee appearance was a complete sham, a pretence of openness when the appointment was already a done deal. Nobody knew what the MPs were supposed to be doing in questioning the incoming judge and they had to be instructed like school children on how to behave themselves. For all the talk of openness and transparency much of the impetus behind the process agitation seems to be resentment that the Prime Minister gets to appoint the judges. In much of Europe, and now even in the United Kingdom, judges are chosen by august bodies with very little openness and transparency. Most people have no idea how judges are chosen. The result is often that judges choose the judges, with an assist from law professors, something that agitating law professors can warm to. Under such as system no one is responsible for who become judges. In Canada it is still clear. The government is responsible. If you don’t like their choices you can turf it out. For the most part even the agitators have not objected to Stephen Harper’s appointments, have even welcomed them, while continuing to witter. Diehards still hallucinate a Harper Court while his appointees hand him what are reported as one defeat after another. Coté will be Harper’s last appointment before the next election. But after seven Harper Supreme Court appointments the last reason you could have for not wanting another Harper government is fear of a Harper Court. The general cry that we should all have our say on who gets to sit on the Supreme Court drew out a few who objected that Coté had litigated cases vigorously in accordance with her instructions. The half baked process started by Paul Martin and fitfully continued by Stephen Harper may have made some difference. But only by discouraging one or two good judges from serving. It has done no good and nothing better has been proposed. We must hope that the Coté will set a precedent for a return to normalcy. We cannot hope that the agitators will dry up. I have myself very qualified confidence in the Supreme Court of Canada. But I see no solution in better appointments however made. The way to a solution lies in understanding what judges should do and what they are doing, in sorting out the law schools and turning away from our obsession with the politicised American courts and the process by which judges are appointed.